The Kahar or Kahal people have several stories about the deriving of their name. It is said, by some anthropologists, that the name comes from the combination of the words kandh, meaning 'shoulder' and ahar, meaning 'food.' Their traditional work has been as palanquin (a seat carried between poles on the shoulder) or water carriers. They are over 7 million strong in India and in some areas known as a Schedule caste. Today many of the Kahar can be found to have many occupations. Some are small businessman, shop keepers or food vendors. In the rural areas they can be found as cultivators, labourers or rickshaw-pullers. 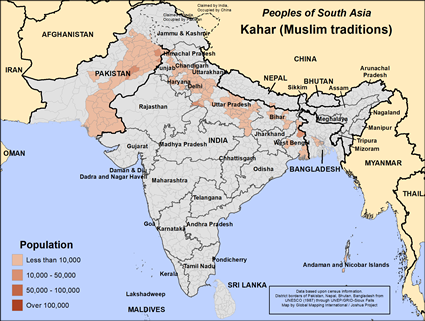 The majority of Kahar clans are Hindu but there are many Muslim Kahar in Nepal and India. There primary language in Nepal is Maithili and Bhojpuri. Prasad, Singh and Verma are common surnames. In general that Kahar are favourable to having their children attend school and this may be an avenue of ministry and assistance to the community. 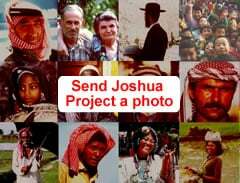 Pray that some from the Kahar would hear and come to know the name of Jesus. There are no known workers among this Muslim group in Nepal. View Kahar (Muslim traditions) in all countries.